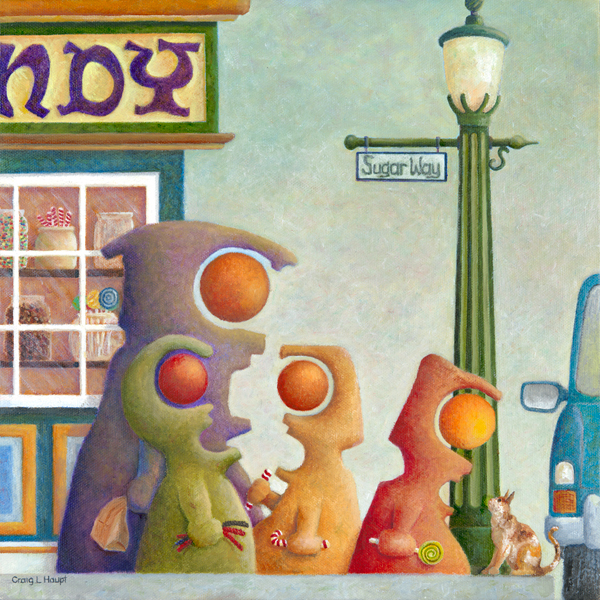 Image: “The Candy Store” oil on canvas. Title-“The Candy Store” Fourth sequenced post. Posted is “The Candy Store” finished painting. After several layers of paint and glazing additional colors to different areas I was able to sign my name to a finished painting. 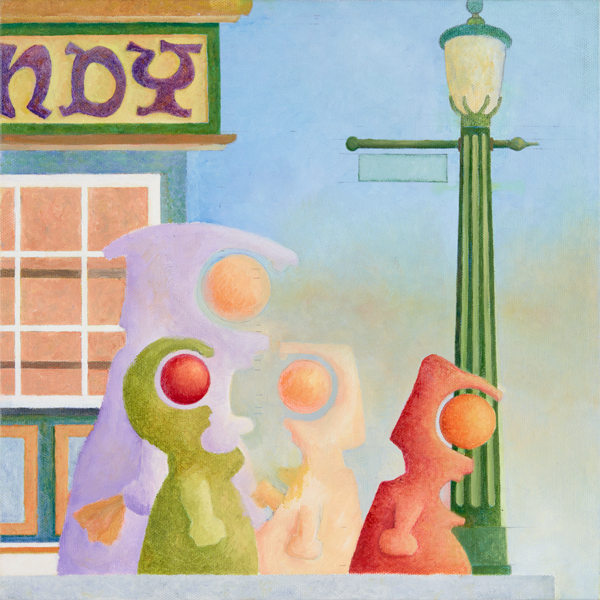 The question throughout this painting was the object on the sidewalk that the ‘red’ character, on the right, would be concentrating on. Back on the worksheet there was a ’cat’ poking his/her head out from behind the large character to the left. I decided to use the ’cat’ as the object of interest. I didn’t want it to look like a cartoon cat but I am not a realistic painter to say the least. After looking at lots and lots of images of cats, I held my breath and dove in to paint it as a one shot deal. In the context of the painting, I’m satisfied, hope it looks all right to you, the viewer. Title-“The Candy Store” Third sequenced post. Posted is “The Candy Store” painting in progress. After the first undercoat layer and the proceeding layers begin to define detail, two areas of consideration are, one, choosing colors for the four main characters and how they correspond with the chosen colors of the objects surrounding them, i.e. having the red character in front of the green lamppost rather than green on green. 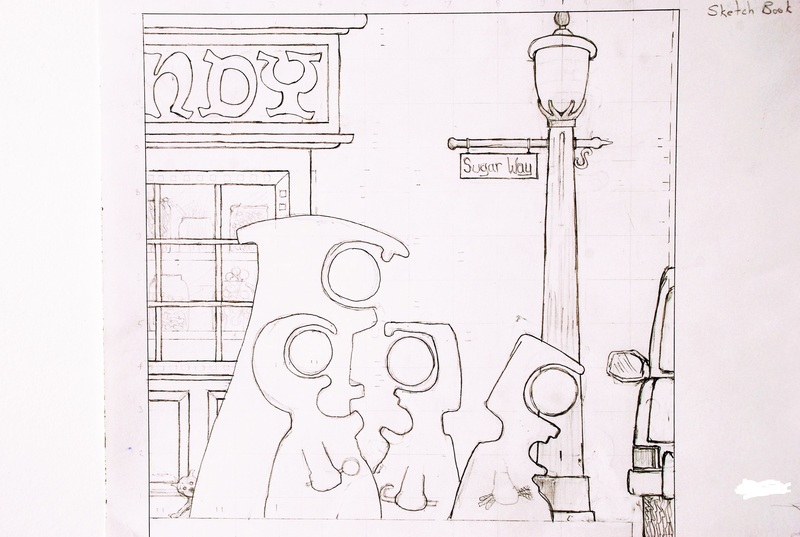 Second, is still the item on the sidewalk the character on the right is concentrating on. I’ve ruled out the initial ‘found’ wallet, tried a purse, and looks like this might be ‘an end of painting’ decision.